A distinguishable feature of sun masks is that they feature rays disseminating outward from the face. However, styles and interpretations vary dependent upon what story the mask is being used to tell. 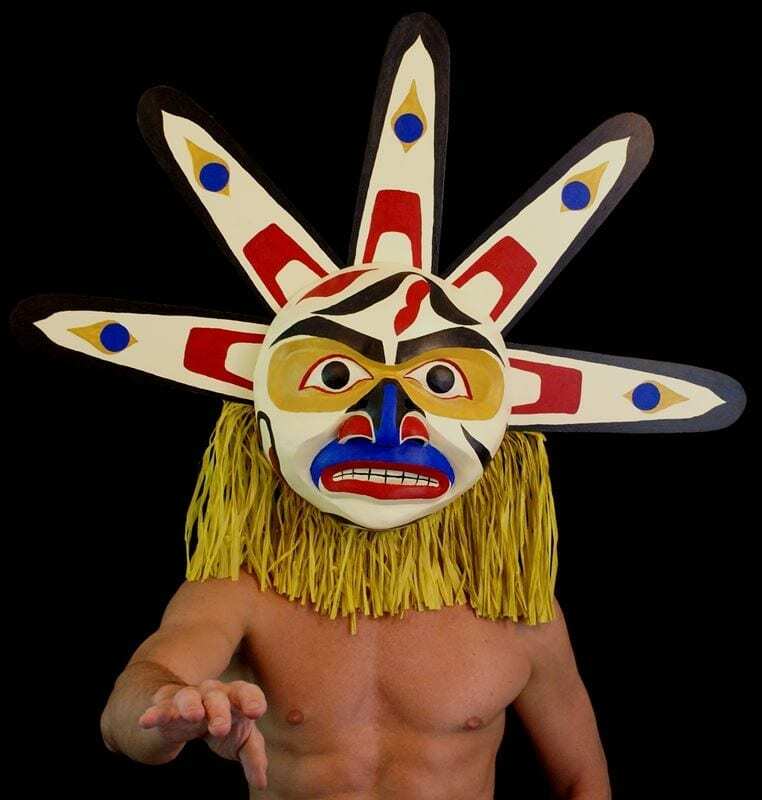 This mask was inspired by the Lalooska tribe. Artists and collectors alike often times value the calming and peaceful effects that masks of the heavens carry with them. 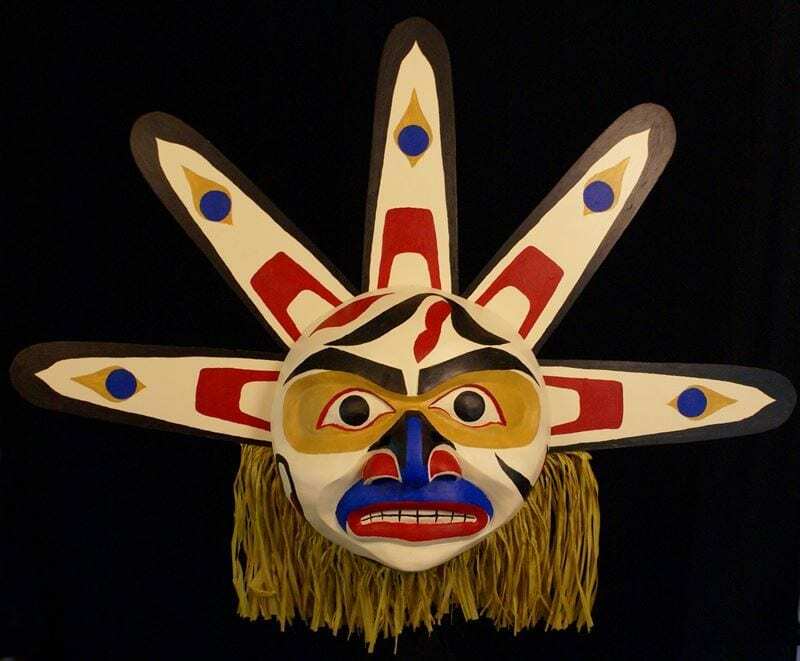 Traditionally the right to possess such pieces has been carefully guarded through marriage or inheritance, however in today’s world appreciation for these great masks can be awarded through respect of their cultural heritage and earned through the pursuit of knowledge. Rise up with the sun, and bring it’s rays into your home by ordering your own sun mask today. This mask is made to order and will a custom one of kind for each buyer.